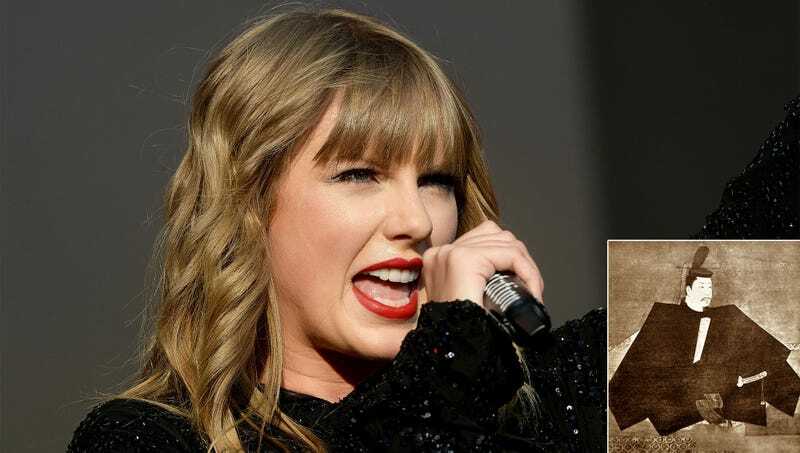 NEW YORK—In a heartfelt social media statement to her fans, singer–songwriter Taylor Swift broke her long-standing political silence Monday to support restoring an all-powerful shōgun to its rightful place on the throne of Japan. “Hey guys, Taylor here—I’m writing this post because I’ve been inspired by recent events to speak up about why we need to install an all-powerful military dictatorship in Japan’s imperial palace,” said the famously apolitical pop star, admitting that in the past, she had been “reluctant” to voice her long-held support for Japan’s famously brutal system of medieval clan-based governance, but felt differently after witnessing the country’s decay since the final shōgun, Tokugawa Yoshinobu, fell from power in 1868. “I believe that a weak-willed democratic Japan is WRONG. I believe the dilution of the proud Tokugawa Clan’s samurai class is WRONG. Please, please educate yourself on the Meiji Restoration’s folly. Only through the blood and steel of a true shōgunate ruler can Japan flourish. Thanks for reading. XOXOXO.” At press time, bloggers had criticized Swift for going too far after she called on current Emperor Akihito to immediately surrender his throne and commit seppuku for disgracing Japan.